This exercise trains the pectoralis major, the pectoralis minor and the triceps. Practical example >> Like pushing a shopping cart. 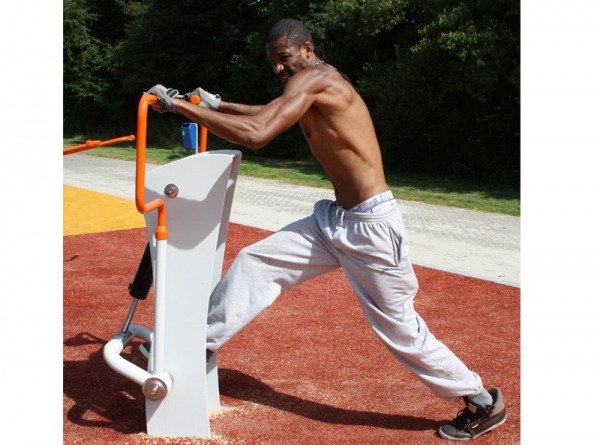 This exercise mainly trains the broad back muscles, the biceps and the trapezius muscles. Practical example >> Like pulling a door closed.